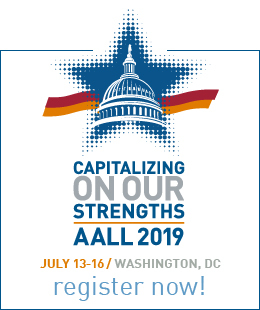 A grant may be awarded biennially to support attendance at the AALL Management Institute by a TS-SIS member. This grant is a reimbursement for transportation, lodging, meals, and/or registration expenses up to $1000 (with accompanying receipts). 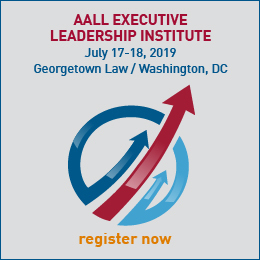 The 2019 Management Institute will be held at the Palomar Hotel in Chicago, Illinois, March 28-30, with a registration deadline of February 25, 2019.